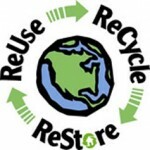 The New Haven County ReStore offers a pickup service for large donations. Please call (203) 800-5517 or email restore@habitatgnh.org to inquire about a donation pick up. Please attach digital photos of the item(s) you wish to donate if possible. Volunteering at the ReStore is a great way to support Habitat’s mission to build safe, affordable homes alongside families in our community. Tuesday 10:00 a.m. to 6:00 p.m.
Thursday 10:00 a.m. to 6:00 p.m.
Friday 10:00 a.m. to 4:00 p.m.
Habitat for Humanity of Greater New Haven’s mission is to eliminate substandard housing by building simple, decent homes alongside families in our community, which in turn contributes to the revitalization of New Haven neighborhoods. Visit us at www.habitatgnh.org for more information about our home buying program and volunteer opportunities.